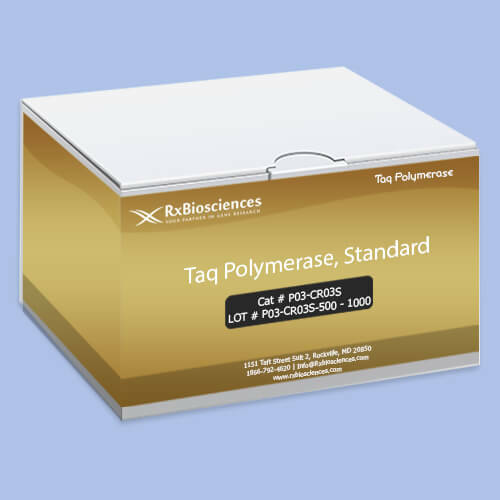 Taq DNA Polymerase is a highly thermostable DNA polymerase of a thermophilic bacterium Thermus aquaticus. Taq DNA Polymerase catalyzes 5’=>3′ synthesis of DNA. The enzyme has no detectable 3’=>5′ proofreading exonuclease activity and possesses low 5’=>3′ exonuclease activity. 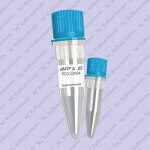 This enzyme adds a single 3′-A overhang to each end of the PCR product, which can be applied to T/A cloning. 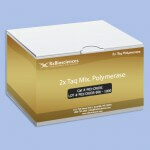 The recombinant Taq DNA Polymerase is ideal for standard PCR of templates 5 kb or shorter. Unit definition One unit is the amount of enzyme required to catalyze the incorporation of 10 nmol of nucleotides into acid insoluble material in 30 min. 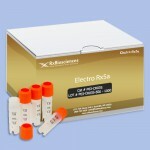 at 74°C under assay conditions.